Chinese smartphone manufacturer Oppo is all set to introduce the new Oppo F5 smartphone. 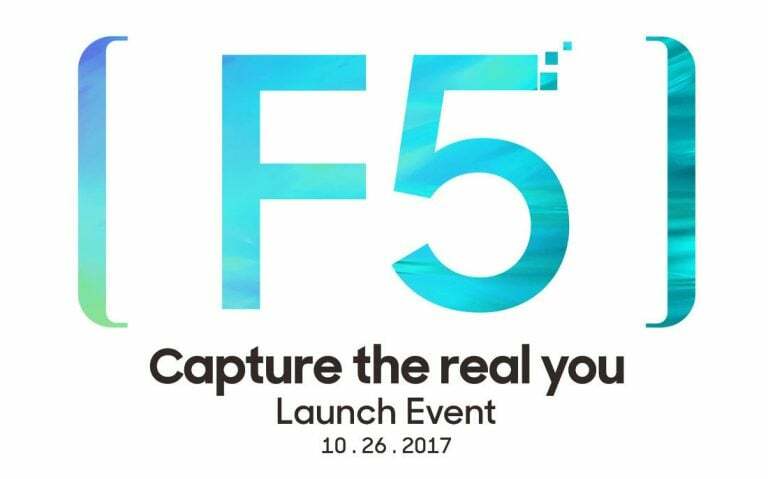 The company’s next-generation F series smartphone – its latest “Selfie Expert” – is said to be launched on October 26 in the Philippines. Recently, a promotional video of the Oppo F5 was aired on a Filipino news channel. Media invites for the said launch event have already been sent out which shows a front and back image of the phone. With the tagline ‘capture the real you’, the invite highlights the phone’s bezel-less 18:9 display and dual front camera features. From the already existing leaks and rumours, we know that the Oppo F5 will possibly come with a 6-inch FHD+ display with an aspect ratio of 18:9. Touted as a selfie-centric smartphone, the Oppo F5 is said to feature either 12MP or 16MP dual cameras on the front for capturing great selfies along with bokeh effect and more. The handset is also believed to sport a 20MP main camera with a LED flash on the rear. Under the hood, the Oppo F5 is likely to be powered by either a Qualcomm Snapdragon 625 SoC, Snapdragon 630, or a Snapdragon 660 chipset, although we are not sure which one of these processors the phone will come with. Paired with the processor is the rumoured 4GB of RAM and 64GB of internal memory. However, there have also been rumours of a 6GB variant of the Oppo F5. Going by the launch of Oppo F3 in India earlier this year, we can expect the new Oppo F5 to be released in the Asian markets, including India, very soon. With the impending launch of the Oppo F5 within a few weeks, we might get to know more details regarding the smartphone in the coming days or we might just have to wait until the official launch to know the full spec-list of the device. This should come up with more battery and snapdragon 660/630 along with 20000 price tag!!! !